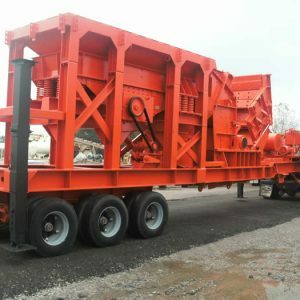 Hazemag APSE1313 horizontal shaft impact crushing plant – Crusher inlet dimensions (54″ W x 34″ H). 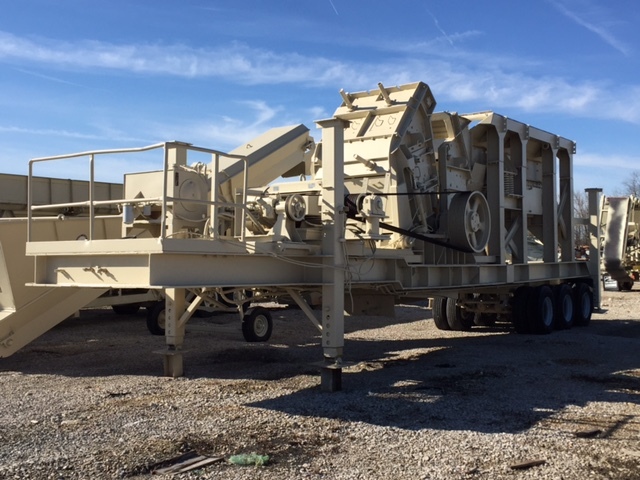 Crusher has a 4-bar rotor w/ manganese-alloy bars designed to be flipped and turned for maximum wear life and (2) adjustable curtains w/ replaceable wear segments. 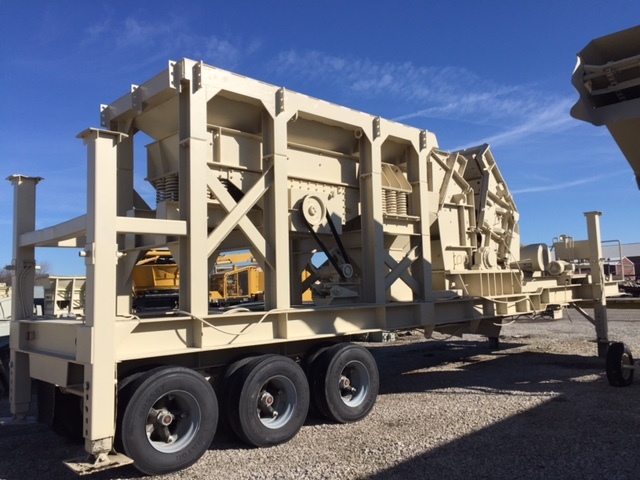 Crusher shell is opened and closed hydraulically and lined w/ replaceable wear segments. 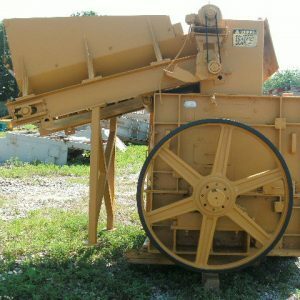 Feed rock box w/ chains to minimize fly rock. 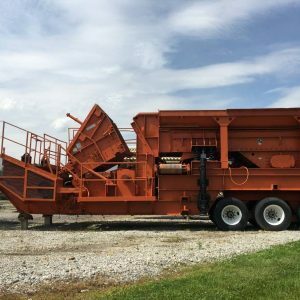 Crusher is powered by a 250 hp electric motor. 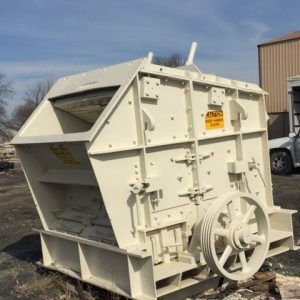 SECO 48×16 vibrating grizzly feeder w/ grizzly section plated over and electric motor. 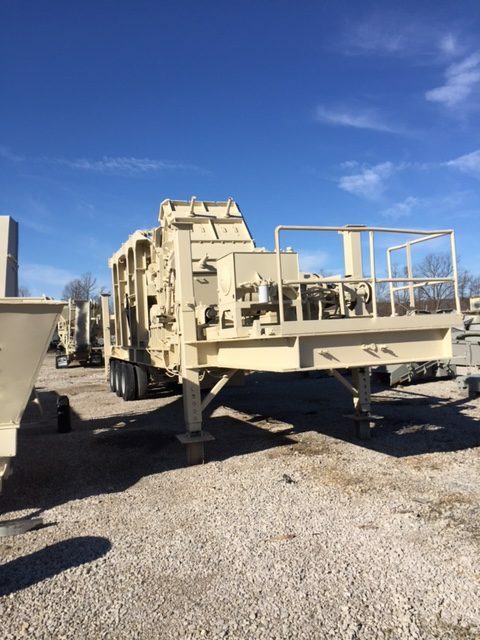 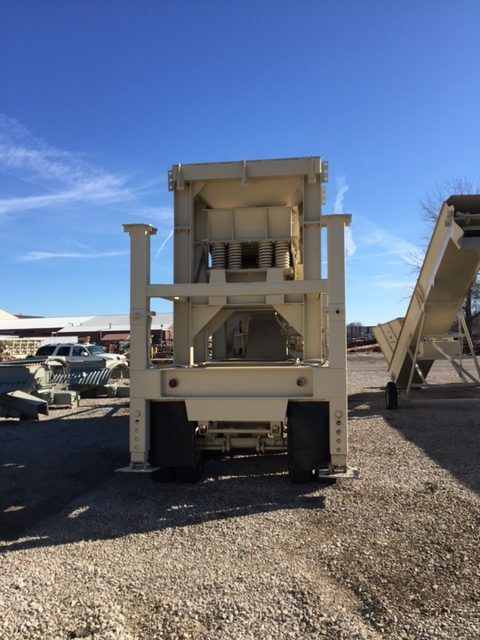 Feeder is mounted in an 8′ wide steel feed hopper that is designed as a skid assembly for easy removal of the feeder as a unit. 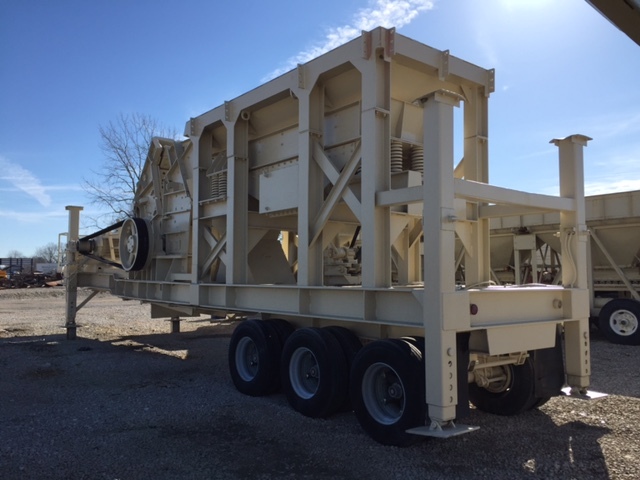 All mounted on a heavy-duty tri-axle chassis w/ hydraulic leveling legs and 5th wheel pin.